If you’re planning to ship your car or other motor vehicles to Florida then there are so many car shipping services to select from. You need to be very careful in your selection so that you’ll have an assurance that your car would be transported from its point of origin to its point of destination safe and sound. Whether it’s your first time to ship your car or otherwise, being reminded of the basic things would mean a lot. See to it that you notify the shipping company at least four weeks in advance so that proper arrangement could be made to the car mover carrier for purposes of picking up your car. You don’t want to have time constraint don’t you? 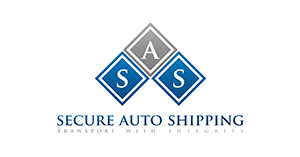 Every car shipping services in Florida has its own reputation in terms of dependability, safety, skills and experience. Ask around so that you’ll get the idea of any car shipping company reputation and good standing. There is no substitute to the opinion of any satisfied customers. You also need to consider the comparative service fee rates between and among the car shipping services in Florida so that you’ll be able to get the whole picture in this field or industry in terms of costs. Every customer looks for a fast and efficient service so be sure to ask around regarding the estimated date and time of pick-up and delivery of your motor vehicle. For most customers, time is always of the essence and a slightest delay would mean a lot. Be sure to check if any shipping company of your choice is duly licensed to do and transact business and at the same time properly insured to answer for any possible damages or loss to your car or motor vehicles in case of perils of the sea or any fortuitous events. Needless to say a round the clock service availability for any car shipping services in Florida is essential for any contingency.